Neil Brimblecombe is a Professor of Mental Health in the Health and Social Care Department of London South Bank University. He has been an executive director of a number of mental health organisations in the UK, most recently Director of Nursing for South London and Maudsley NHS Foundation Trust. He was Director of Mental Health Nursing for the English Department of Health, where he led a national review of that profession which resulted in changes in practice and training. 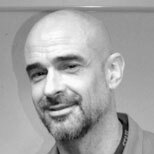 Neil has worked clinically in community, inpatient and child and adolescent services in and around London. Neil completed his PhD research on crisis/home treatment services and edited the first book published in the UK on crisis services. His long term research interests include international approaches to mental health care, violence in mental health, new professional roles and the history of mental health care. He has published around 50 peer reviewed papers. His current research work includes that on the introduction of e-technology in mental health care, attitudes of health professionals towards smoking and his fourth national survey of mental health nurse prescribing. Neil has been a member of a number of national and regional expert groups and is currently Mental Health Lead for the London Urgent and Emergency Care Collaborative.